Go ahead, pop in those earbuds. Skullcandy, the recognizable audio brand known for candy-colored earbuds and gaming headphones, is looking to hire work-from-home seasonal brand ambassadors — full and part time. Pay is $10-$11 an hour — and performance bonuses are possible. Just so I don’t waste your time, you must live in Arizona, Florida, Georgia, Indiana, New Jersey, Ohio, Texas, Utah or Virginia. You do? Good. Skip to the next song, and continue on. What Will I Do as a Brand Ambassador? Technically, you’ll be working for VIPdesk Connect, Inc., a company providing customer service solutions to top brands. Current VIPdesk team members work in 20 different states from the comfort of their homes. Think: cat snuggled in your lap, favorite coffee mug in hand, a fire in the fireplace (or on the TV). But don’t get intimidated by the fancy title. A brand ambassador is a customer service representative who assists customers via phone and email. You’ll answer questions about products, policies and promotions. You’ll want to be a Skullcandy headphones fan so you can attest to the brand’s quality. Am I Qualified to Represent Skullcandy? Because this is a work-from-home position, you should meet all of the home office requirements, including internet, a USB headset, router and modem. You should also be comfortable sitting in a chair — about 95% of the time — or else get creative and rig up a standing desk. My solution? Stack some books. Once you acquire your part-time or full-time position, you should be flexible and able to work weekends and holidays. Other qualifications include a high school diploma, although some college is preferred, plus six months of experience in consumer sales and two or more years in related customer service. You also need to pass a credit, criminal and employment reference security check. You’ll get a gold star if you’re passionate about music, sports and gadgets; familiar with Skullcandy; have a grasp of audio technology; know your way around Microsoft Office Suite and capable of typing at least 35 words per minute (proper spelling and grammar included). So Where Can I Sign Up to Work for Skullcandy? Apply online at VIPdesk Connect Careers for the part-time and full-time positions. Before you begin, you’ll engage in a live, paid virtual training, before being let loose. This training begins Sept. 30, so jump on the job application because attendance is mandatory. Because this is a seasonal gig, you’ll likely work until mid-January. Want to find more work-from-home jobs? The Penny Hoarder’s Jobs Facebook page is a great resource! 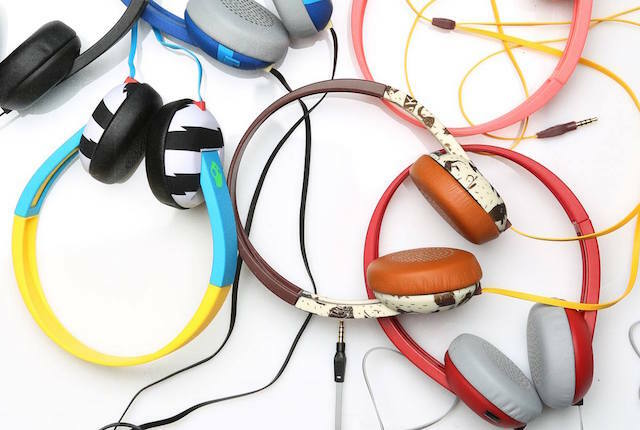 Your Turn: What’s your favorite brand of headphones?